Have you ever been going through your make-up collection and find a barely used product and wondered how it ever got there? That was exactly me whenever I found the Topshop Lip Bullet in Heartbeat tucked away at the bottom of my lipstick storage. 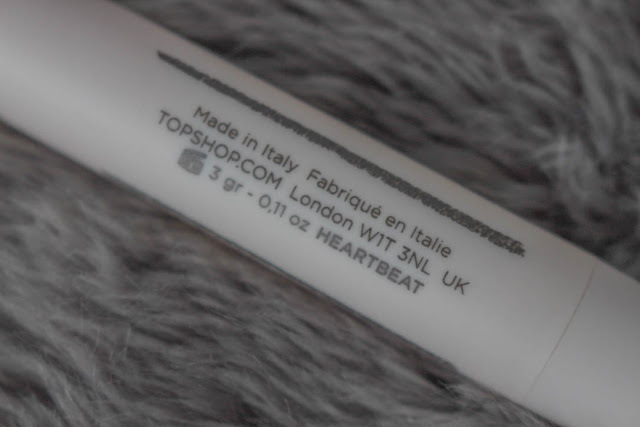 If there's one thing I love about Topshop make-up, it's their lip products. I have a wish list as long as my arm of lipsticks that I still want from the collection. 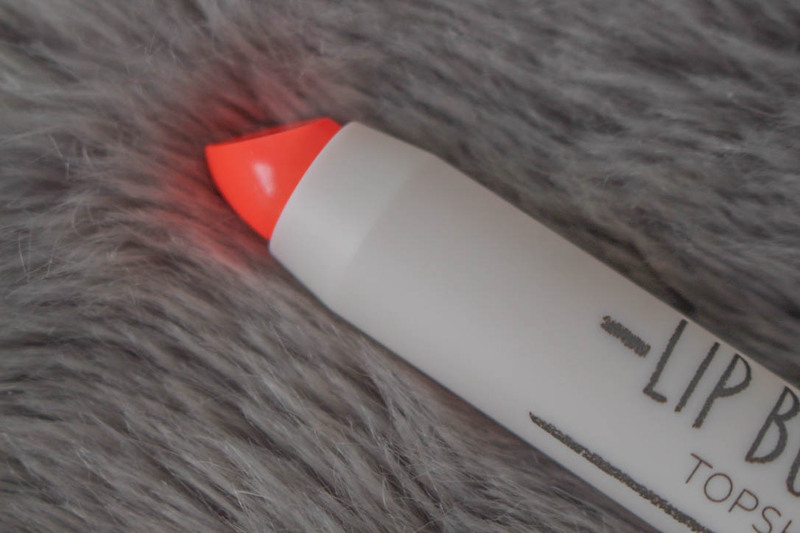 Not to mention the fact that they've now released their 'lip perfector' range as well, which are supposedly similar to the Clarins Instant Light Natural Lip Perfector. 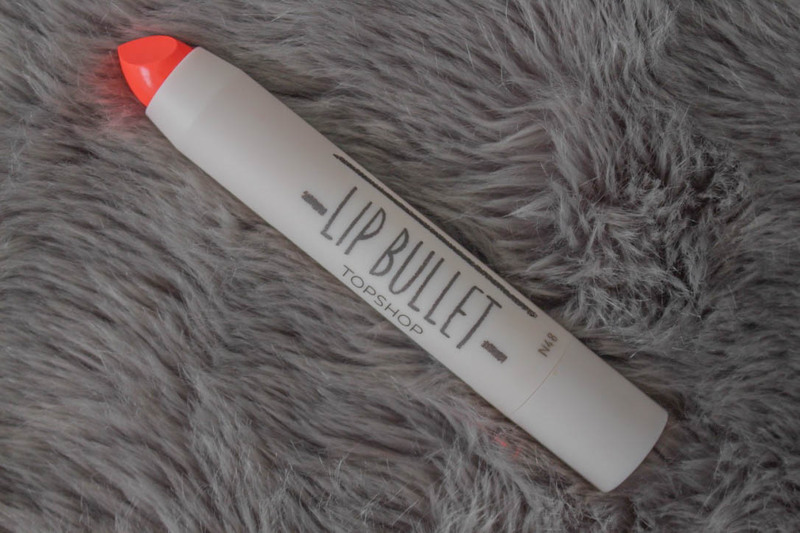 But anyway, I really love the lip bullets from Topshop and have a few shades from the range. They have a moisturising, dewy formulation and glide onto the lips with ease. 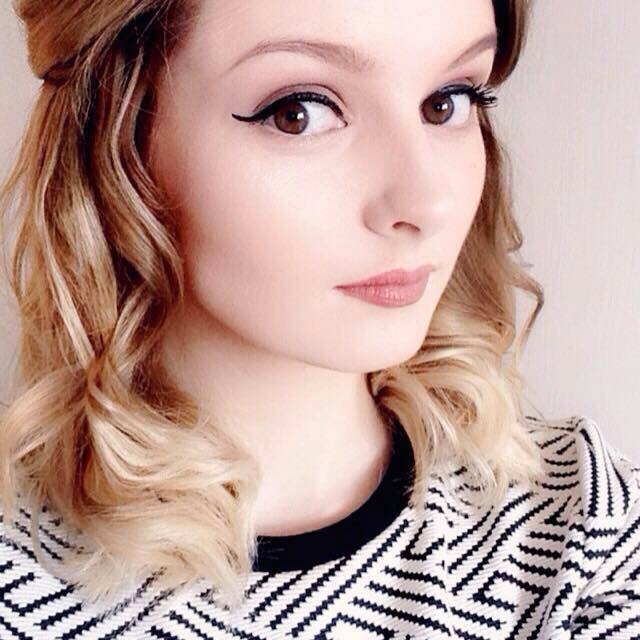 They're also very buildable, so you can alter the coverage and colour to how you like it. 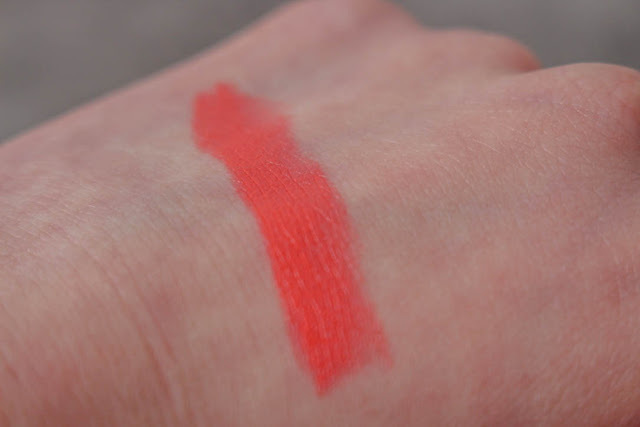 The shade 'Heartbeat' is leaning towards a red, but with pinky coral undertones, which I think is perfect for all year round and not just during the warmer months. However, it does look slightly more orange in the applicator. I like to apply mine straight from the applicator, then pat it into my lips to ensure that it doesn't slip and slide around my lips. They do actually wear quite well, but I find that they do need topping up around the 3 hour mark. As with all Topshop make-up, the price is reasonable, coming to a mere £8 compared to some other similar products on the market. Even though it's not my favourite shade from the lip bullet range (Covet is my favourite), I'd still recommend checking it out. 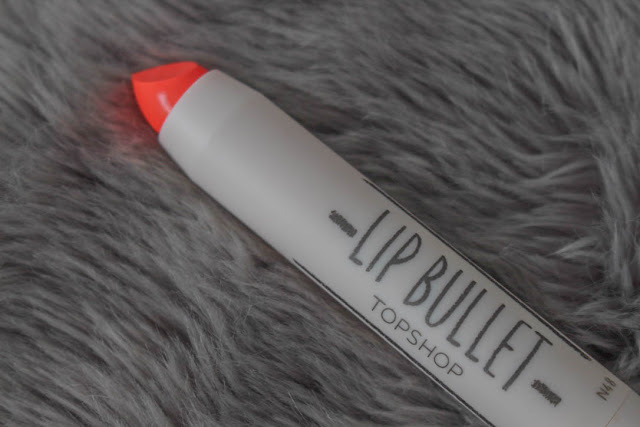 What do you think of the Topshop lip products? Would you wear 'Heartbeat'? Let me know in the comments! Guess who's going shopping in a few hours and definitely picking this up? ME !